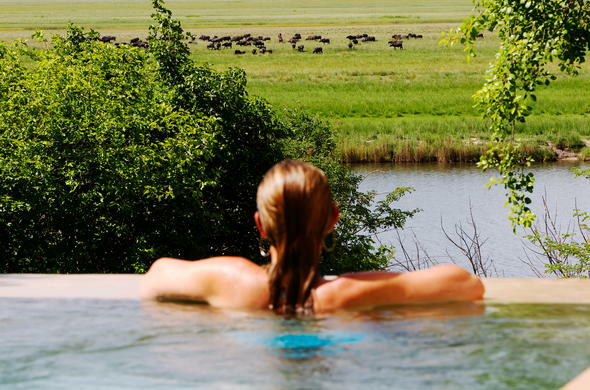 The 3 day Fly-in Classic Colonial Chobe Safari Package is the perfect basis for exploring the Chobe National Park. 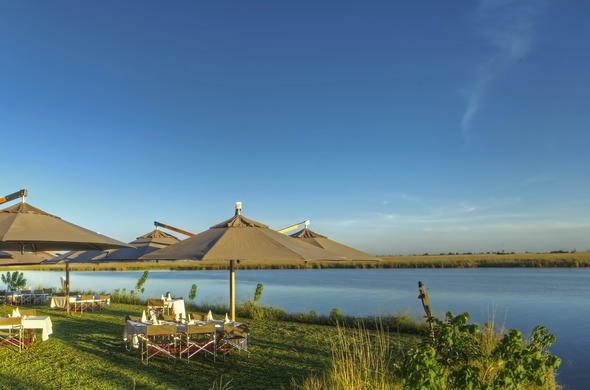 Relax and enjoy the classic colonial style of the lodge and the view over the Chobe River. This holiday travel package includes flights ex/to Johannesburg with set departure days. On this 3 day Classic Colonial Chobe Safari you will explore the wonders of the Chobe National Park on game drives and river cruises, with thrilling bush walks to round your Botswana holiday off. The Serondela region or Chobe Riverfront is characterised by lush floodplains and woodlands. This is the preferred watering spot for many African animals. It is here, especially in the dry season, that you will see massive herds of breeding Elephants as well as plentiful Giraffe, Sable and Cape Buffalo. On the floodplains you could spot the rare Puku antelope, as this is the only place in Botswana where they can be seen. Birdlife is prolific in this special place, and birding enthusiasts will find plenty to look out for as there are around 440 species in this area. Your experienced guides will share their stories and vast knowledge of the environment with you on varied safari activities. Game drives set off in the coolest times of day, and in between tracking big game you can get to know the area on foot, or whilst cruising on the Chobe River with a sundowner in hand. In the morning you will take the flight from Johannesburg O.R. Tambo Airport to Kasane Airport. 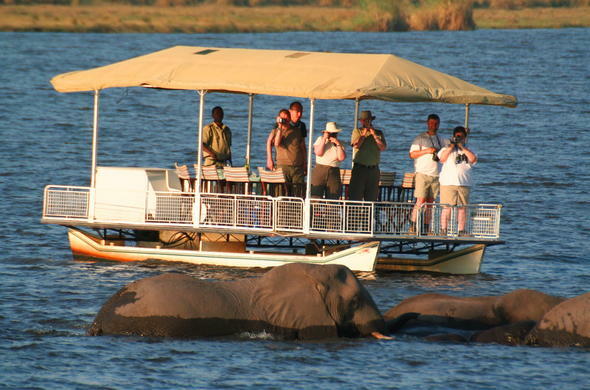 You will be welcomed and then taken on a road transfer to the game lodge for your first 2 nights in Chobe National Park. The lodge has spectacular views over the river and provides the perfect spot to relax and keep a look out for wildlife at the water's edge. There will be time for a light lunch and settling in before taking part in the game viewing activity in the afternoon. If you decide on a game drive, you could see big cats stalking Buffalo on the grassy floodplains or large herds of Elephant that make this area so famous. In order for you to experience the best in game viewing, there will be an early morning wakeup call with tea or coffee and a snack, before you head out with your guide. Enjoy close encounters in the wild and a thrilling start to your day. 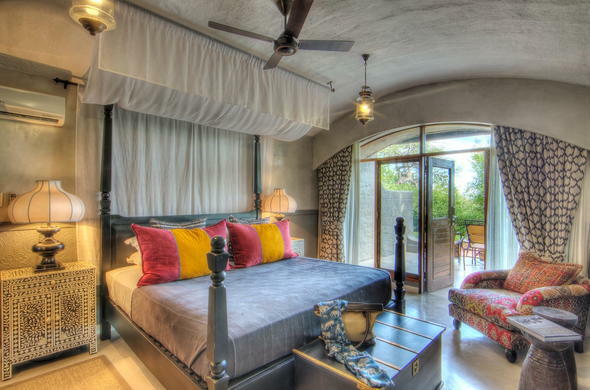 When you return there will be a delicious brunch waiting and time to relax at this wonderful riverside game lodge. You could rest by the pool or retreat for a beauty treatment. Guided bush walks are a wonderful way to see the finer details of your environment which are often overlooked on game drives. After high tea you could embark on the late afternoon game drive or opt for a Chobe River cruise and watch the spectacular sunset. After dark, the rare Pel's Fishing Owl can be seen. Once you return to the game lodge you can freshen up before an atmospheric dinner by lantern light. Later, you could enjoy some stargazing and a nightcap, and then it is time to retire with the sounds of the wilderness lulling you to sleep. This is the final day of your 3 day Classic Colonial Chobe Safari. 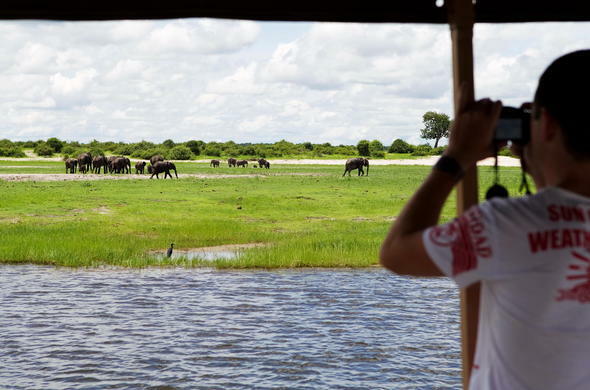 You could just sleep-in and savour your last morning at the Chobe River or set off early on an activity. After breakfast, you will be transferred by road to Kasane for your flight back to Johannesburg O.R. Tambo International.where you will catch a flight back to Johannesburg. This is a 3 day fly-in package for 2 guests sharing in en-suite accommodation, all inclusive of meals and scheduled activities, flights ex/to Johannesburg O.R. Tambo Airport with set departure days on Monday, Wednesday, Friday and Sunday in the late morning to Kasane and return flight to Johannesburg in the afternoon. This Botswana package can be also combined with a stay at Livingstone (Zambia) or Victoria Falls (Zimbabwe) and / or the Okavango Delta.